From the very first audition camp to the last show of the season, drum corps staff members invest every ounce of their lives and souls into elevating the level of music making and athleticism of the members of their corps. With that very special connection and vantage point to witness corps members achieving their ultimate performances, it's no surprise that those staff members are also some of their most ardent cheerleaders, as seen here during the DCI World Championships in Indianapolis. 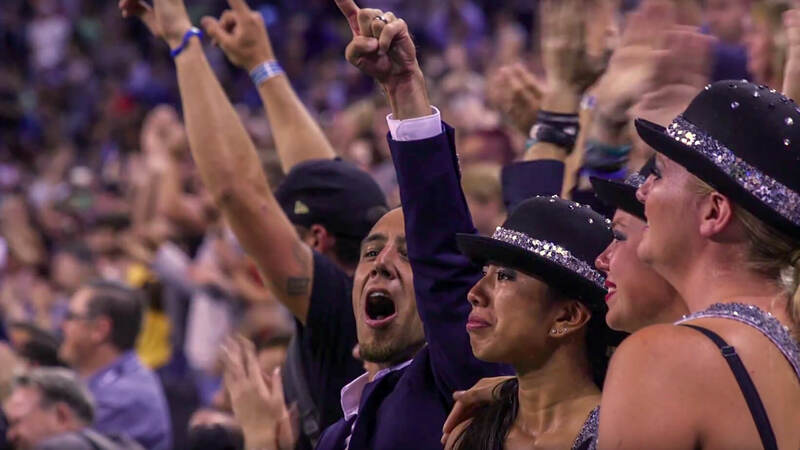 Watch more videos from the DCI World Championships.